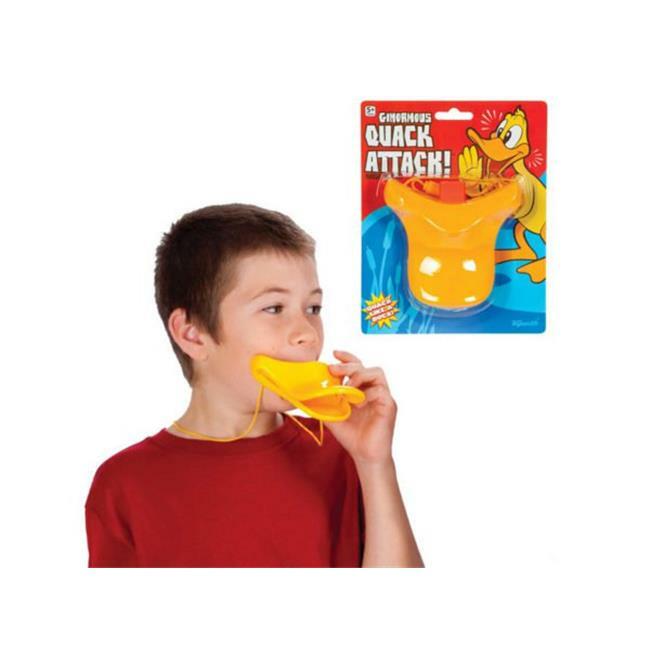 Quack like a duck with this Ginormous Quack Attack Noise Maker featuring a large duck bill shaped noise maker with an attached nylon neck lanyard. For ages 5 and up. Comes d in a ber pack.